In order to move towards sustainability, NYC must improve the performance of existing buildings and any new construction to come. 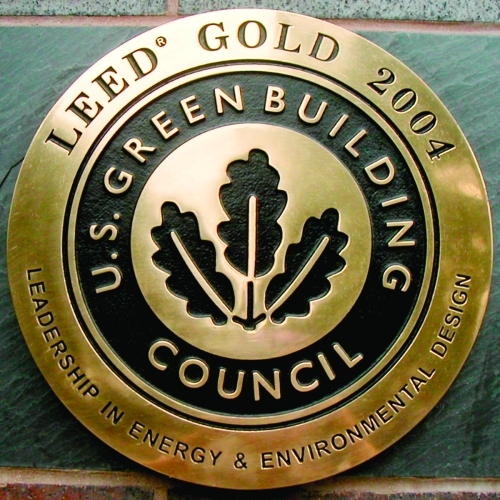 Recognizing the importance of this goal, in 2011, Green Map System developed an open platform map used to identify locations that meet LEED (Leadership in Energy and Environmental Design) certification standards. 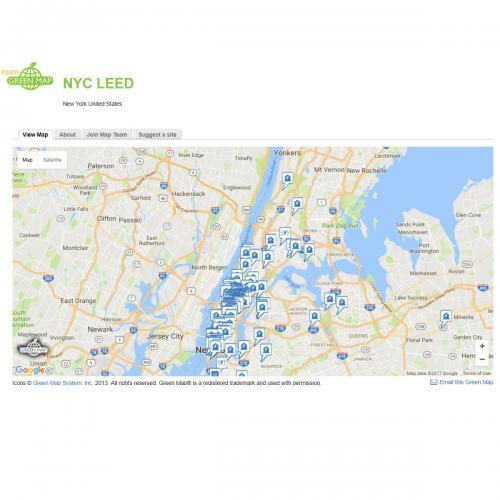 Initiative on this project began in 2012, when our intern and NYU Urban Design and Architecture Studies student, Brigid Keating created the Open Green Map of all the LEED certified buildings in the five boroughs of New York City. Five different team members have since worked on this project, identifying 167 of the LEED sites in the city. Sites located on the map range from multi-use properties, like The New Stapleton Waterfront in Staten Island (certified silver), to corporate buildings, like the WSP Flack & Kurtz Corporate Headquarters in Manhattan (certified gold). 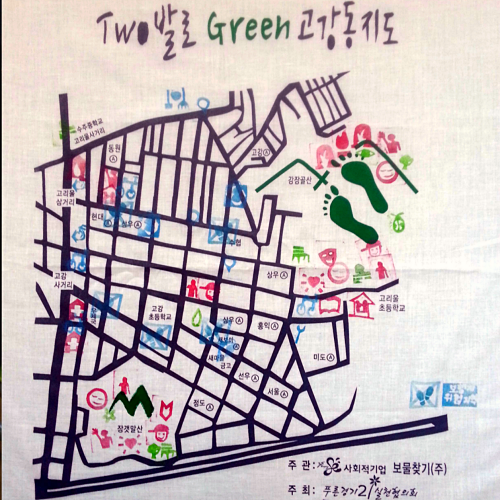 This map is useful for residents, commuters, and tourists alike because it provides photos as well as details about each location’s achievements under LEED certification, such as their ratings for Water Efficiency, Materials and Resources, and Indoor Air Quality. 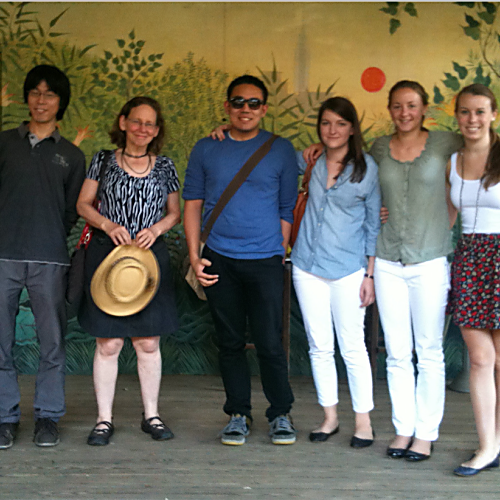 We have had wonderful interns (from left, the photo includes Yutaka, Wendy, Joe, Brigid, Alexandra, and Melanie)! 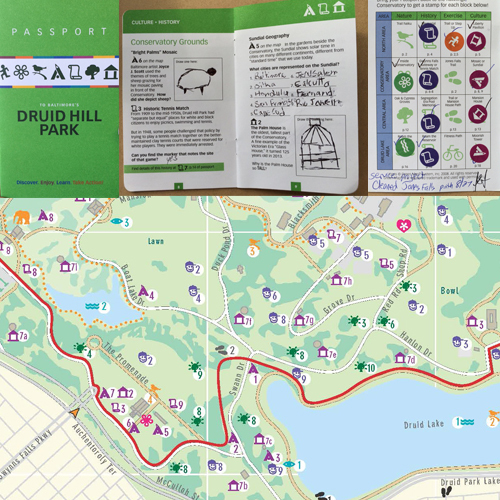 During this project, Green Map System sponsored Brigid’s enrollment in a LEED Green Associate Course at the Center for Architecture, providing her with an excellent understanding of the LEED certification program. Brigid later went on to work with NYC DEP, and has managed the installation of hundreds of bioswales (stormwater absorbing green infrastructure) across the city! In 2019, it's expected that City Council will pass sweeping legislation - the #GreenNewDeal4NYC! Please see our Passive House story, too!